Normally I am not one to like frozen pizza. I try to avoid it at all costs unless I am starving and it is the only thing in my freezer. I have had some decent frozen pizza in my time, including but not limited to Home Run Inn, and some DiGiorno Pizza. 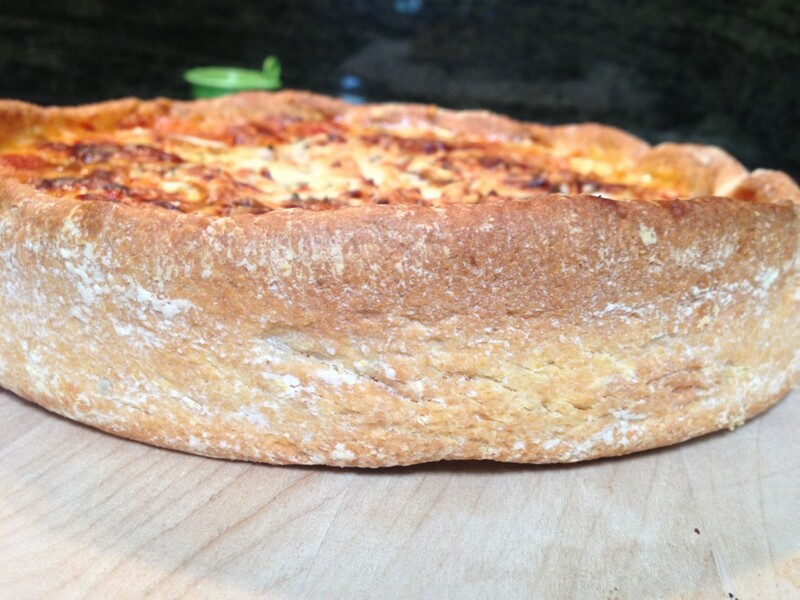 Recently my wife brought me home a deep dish style frozen pizza she picked up and thought I might like to taste. 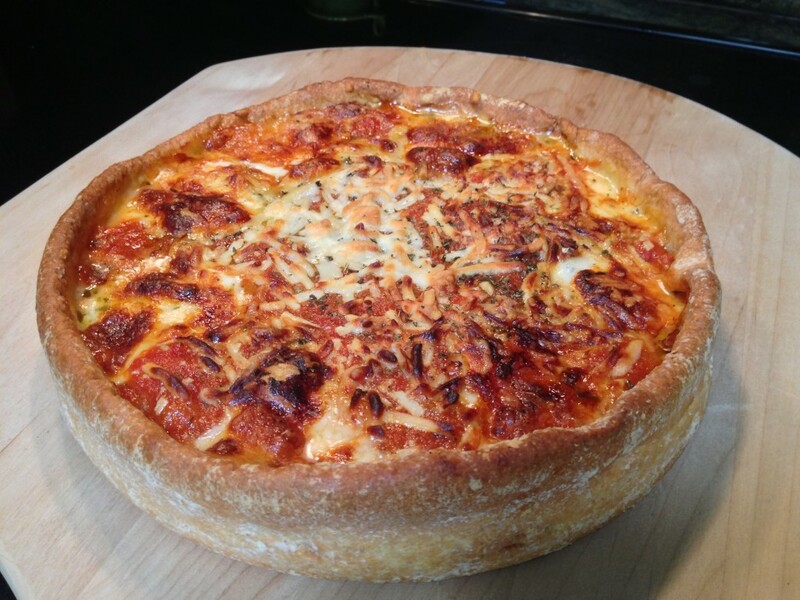 Prior to her bringing home this deep dish frozen pizza, I had never even heard of Forty Seventh Street Chicago Style Pizza. The packaging was simple at best, and this pizza didn't even vaguely resemble something I would normally want to put into my delicate mouth. Luckily for Forty Seventh Street Frozen Pizza, I was starving and there was absolutely nothing else to eat in the house. Not even Jello Pudding. After taking the pizza out of the cheap plastic it was wrapped in, I placed it into the oven for about 25 minutes. When it was ready, it didn't look half bad. 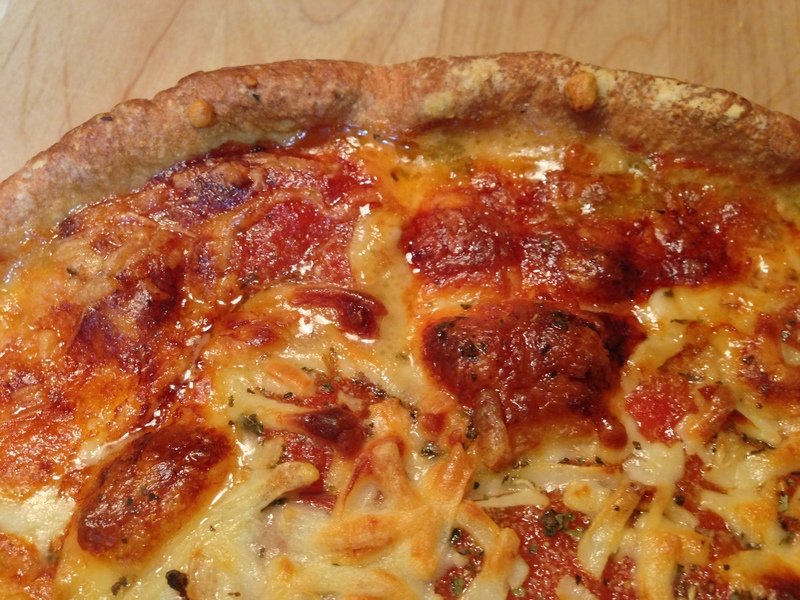 The crust had a nice looking flaky type of texture to it, and it was a heavy pie that held up nicely. This wasn't the type of pie to just cut and grab, since it was so thick, I used a knife and force and was quite surprised how crispy the crust was, both the outer and bottom cooked perfectly. The cheese tasted very good and the sauce was sweet, smooth, and actually quite tasty. People from Chicago will kill me for saying this, but it was reminiscent of the pizza I order in from Lou Malnati's. Actually, I wonder if I served this to some of the Floridians who complain they can't find deep dish pizza worth anything down here, if they would even know it was a frozen pizza. Considering Forty Seventh Street Frozen Pizza is kosher, and decently priced, I would safely state that it is the kind of frozen pizza I would easily buy again and eat with pride. Forty Seventh Street Frozen Pizza gets 5 out of 8 slices.